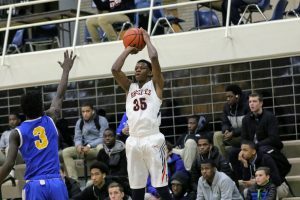 Impact Basketball has developed some of the Chicagoland's top players through a proven training system. In short, we offer basketball training that works. Your child will improve because these individual private and small group basketball lessons allow us to focus on the specific area needing attention. Whether you are looking to jump start your child's ball handling skills, get past a hurdle or get to the next level, our coaches will quickly analyze and provide the right basketball training. 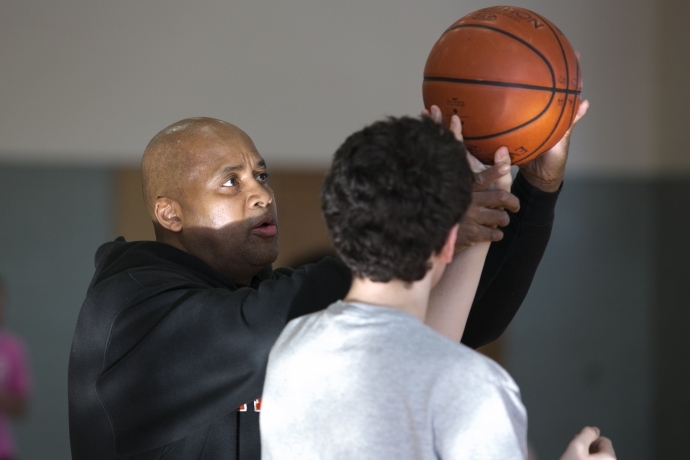 Our Basketball Training options include 2 classes offered by the hour and one option for specialized agility and speed lessons offered in 3 or 6 sessions. Click the choice you are interested in to expand that section to learn more. The player's session will be tailored to that player’s skill set. We will work on the specific fundamentals needed for the beginner, intermediate or advance player development. Improving player skill sets and enhancing the player's present level skill set is our goal. Working on dribbling moves, shooting techniques as well as defensive skills are common lessons. 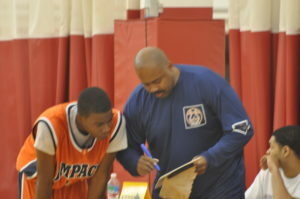 Impact Skill Coaching for 7th to 12th grade aims to contribute to the continuous growth of all basketball players by providing the opportunity for all skill levels and to play and develop in a competitive training environment. 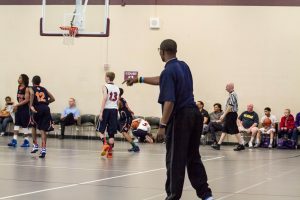 These small group private coaching sessions are designed to emphasize intense defense, ball handling, shooting, transition, passing, and footwork. We also aim to develope the complete player by teaching in-game IQ for tough situations. We include 20 to 30 minutes of dribbling drills to increase game IQ and attacking the basket with confidence and Scrimmaging to transition skill set to the court. Get Basketball Training to be agile, play a better defensive game, get faster, jump higher, have better foot control and balance. We use resistance bands, plyometric and power jumps. boys and girls develop and improve their basketball skills. Coach James Foster helps a youth handle the ball better.